In mid May, the huge GeoCanada 2010 conference will take place in Calgary. This is a once-every-decade meeting, and since Canada is home to some of the world’s most exciting fossil sites, it seemed like a very good opportunity to explain the sites and the research that is allowing us to better understand them. 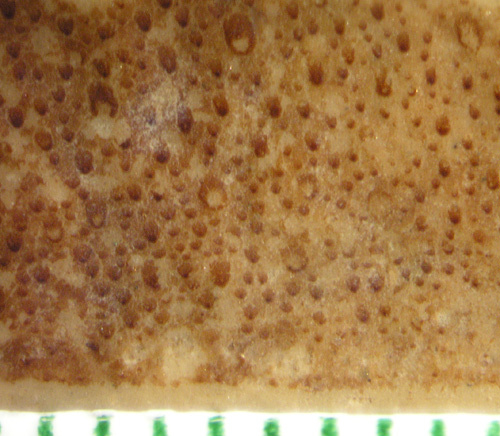 Dave Rudkin and I have been organizing the Special Session Great Canadian Lagerstätten, which will explore the theme of exceptional fossil preservation in Canada. 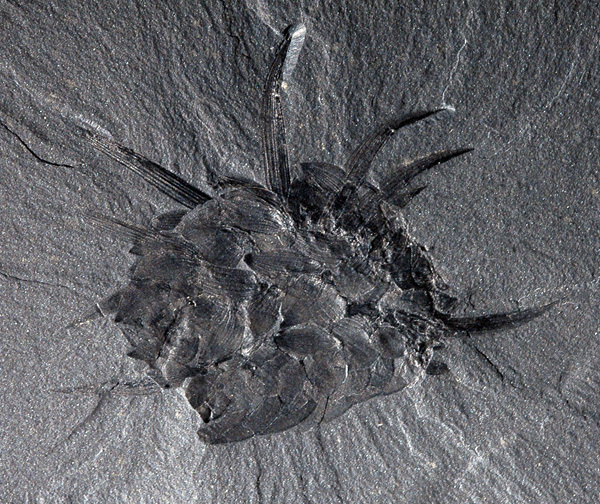 A lagerstätte is a deposit in which fossils are either exceptionally preserved or unusually abundant. 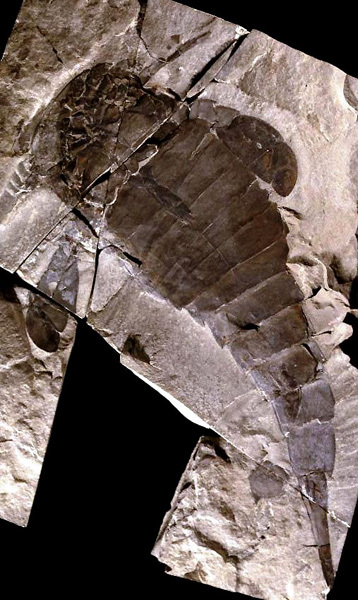 Canada’s remarkable fossil record includes many recognized lagerstätten, each providing unique evidence of past life. 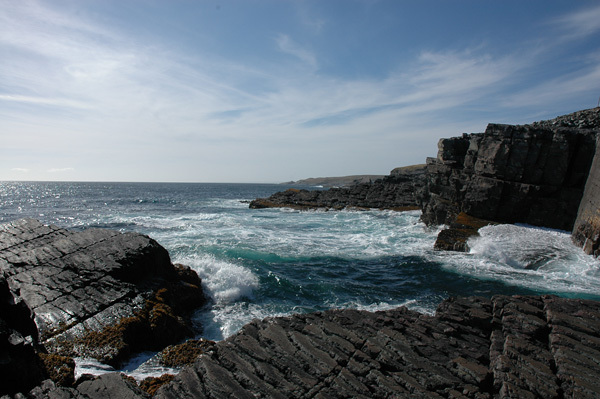 Our most famous lagerstätten include the Ediacaran fossils at Mistaken Point, Newfoundland, the Cambrian wonders of the Burgess Shale, British Columbia, and the Cretaceous dinosaur bone beds of Alberta, but there are many other less well-known lagerstätten, in almost every province and territory. 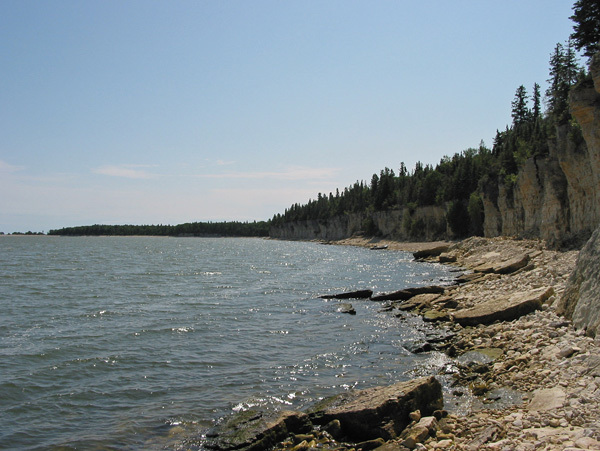 Ordovician dolostone cliffs of the Red River Formation at Cat Head, Manitoba contain remarkable fossils. If you are planning to attend the GeoCanada meeting, we strongly encourage you to take in this session. 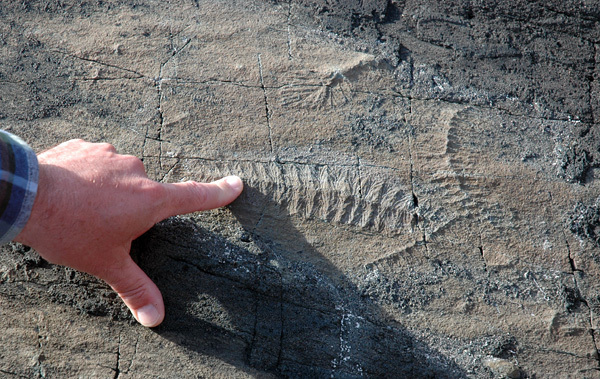 Or if you live in the Calgary area and are interested in unusual fossils, you might want to consider paying a one-day registration! We don’t yet know the date and time for this session; please check back here or on the conference website if you are interested. 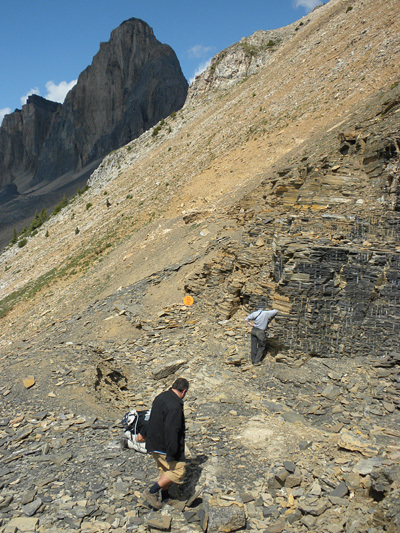 This session is sponsored by the Paleontology Division of the Geological Association of Canada.